Why is cold air blowing when the heat is on? Try changing your air filters then check to see if your HVAC system starts blowing warm air. If the issue continues, please call a technician as the system may overheat leading to expensive repairs or replacement. If your furnace is a gas furnace, check to see if your pilot light is out. Heat pumps operate by moving hot air from outside air into your home. For those who live in colder temperatures, it may become difficult for your heat pump to heat your home as the air outside is cold. During the coldest months, your heat pump has to work extra hard in order to heat a room. Sometimes, your heat pump will actually be blowing warm air into your home, but it may just be a case of it not being warm enough to your liking. If your heat pump truly isn’t working properly, check your refrigerant and air filters – that’s where most heat pump issues are found. Similar to a heat pump, and AC also vents air – but this time it’s funneling hot air from inside your home to the outside. Your AC is usually split into two parts: The inside part is the evaporator, which absorbs the hot air, and the outside part is the condenser, which expels the hot air. Condensers get very dirty over time and regular cleanings are necessary to ensure your home is properly cooled. 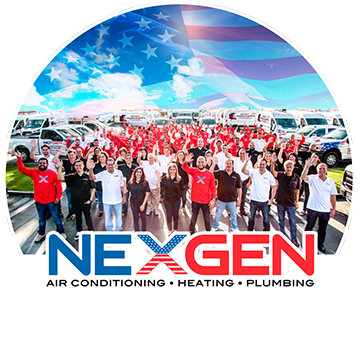 If you’re having cooling issues with your HVAC system, check to see if your condenser is indeed clean. Why is it colder in one room than the other? If some rooms are warmer or colder than others, this is usually just a matter of balancing. All this means is that you should adjust the air flow into each room. You can do this by adjusting your vents to balance out the air flow around your home. If a room is heating or cooling much quicker than other rooms, the airflow can be reduced to that room to even things out. This will also send more air to other areas. ← Should I Replace My HVAC System?